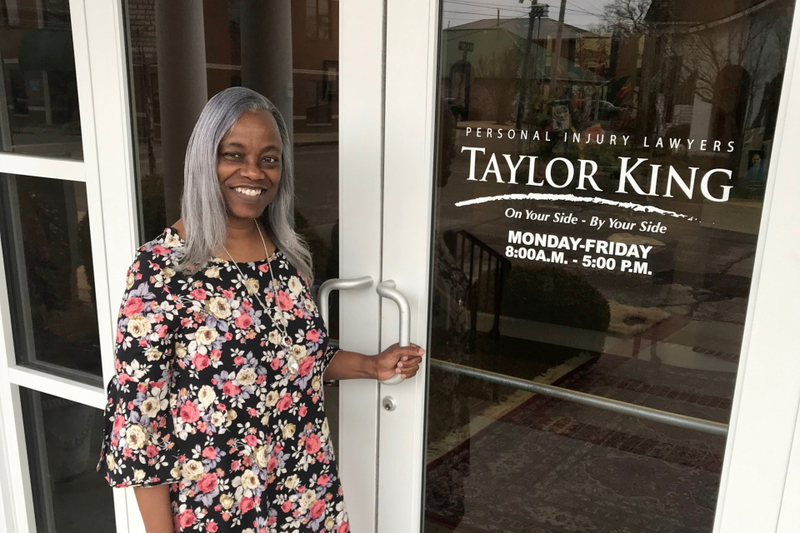 Phyllis Dixon will have been with Taylor King Law for 4 years in March of 2019. Phyllis has served as Case Manager and currently fulfills the role of Records Clerk, in addition to her task of reviewing brochures. Phyllis is happiest when “[her] family is happy.” Phyllis has been married for 39 years, has 4 children and 8 grandchildren (including two sets of twins). Outside of work, Phyllis enjoys playing piano for both her church and her brother’s church and traveling whenever she has the chance. “Being that my husband does not fly, and I only fly when I have to, our travel is limited to the US; however, my family did take a cruise to the Bahamas a few years ago and that was fun. I would like to visit Jamaica.” Phyllis also attends Gospel Music Worship each year, as well as annual regional meetings of her sorority, Alpha Kappa Alpha. What’s one thing you couldn’t live without? Jesus Christ in my life. Imagine you could only eat one meal? Pork chops, yams, cabbage, mac n cheese, and hot water cornbread. If you had any superhero power? Ability to move from place to place really fast. Favorite place in Arkansas? Arkadelphia of course!!! Favorite thing about working at Taylor King Law? I enjoy the people that I work with and the fact that you can ask questions if you don’t understand and actually get an answer.